It was a long time coming but the wait was worth it. 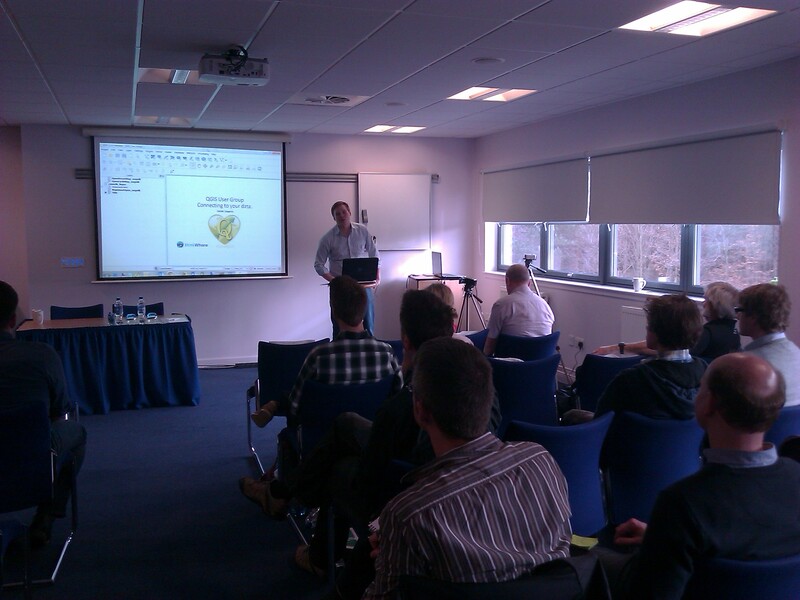 Forty two excited QGIS users and open-source GIS enthusiasts arrived at the Stirling Management Centre on a brilliantly sunny March day. People had traveled from all over the UK to make the day happen: Charley Glynn from OS in Southampton, Pete Wells, Martin Dobias and Saber Razmjooei from Brighton as well as others from Aberdeen, Inverness, Dundee, Edinburgh, Glasgow, Cumbria and most places inbetween. The event was supported by thinkWhere, based in Stirling, and Neil Benny and Heikki Vesanto provided suitably geeky geo entertainment. First up was Neil Benny (thinkWhere) who provided us with an overview of QGIS through the years to the current top features available in version 2.2 “Valmiera”. The questions on everyone’s minds were answered when he presented a series of slides outlining the benefits of using open source software, highlighting the savings and investments and the importance of investing in training. His top 10 feature comparison of proprietary v open source desktop GIS provoked much discussion. 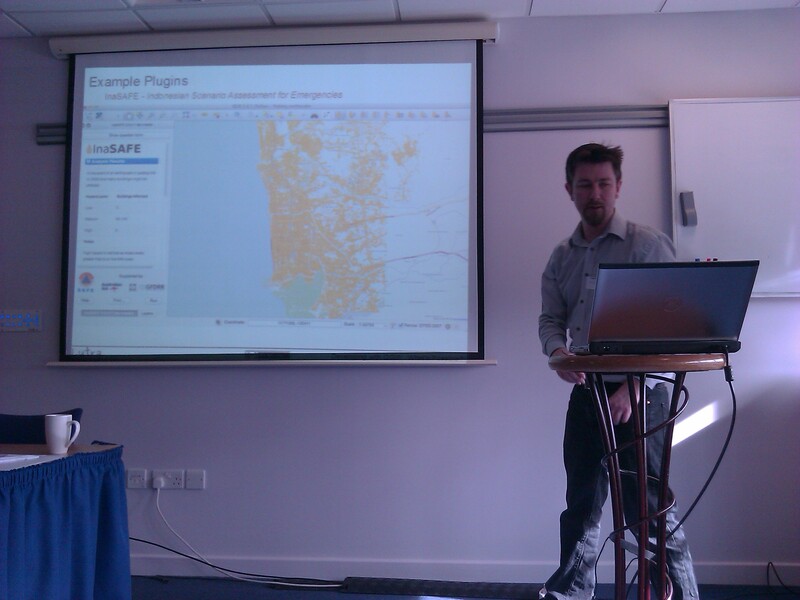 Martin Dobias of Lutra Consulting and core QGIS developer revealed some of the performance enhancements available in the development version of QGIS. The multi-threaded multi-core rendering impressed everyone and will prove a huge draw card to seasoned GIS’ers used to single threaded applications. Saber Razmjooei (Lutra) filled in an open slot talking about the autoTrace plugin they developed for a group of Local Authorities across the UK. Modeled on the MapInfo trace tool it forms a key part of a lot of Council workflows and is a good example of how future plugin development work can deliver savings. Pete Wells (Lutra) delivered a very comprehensive overview of Python and QGIS and how they interact at different levels through the python bindings. There was a lot of interest in this and this was reflected in the feedback forms we collected where Python, plugins, hands-on workshops and tutorials feature high on the list of wants. Charley Glynn (OS) unveiled some fantastic cartography using the OS vector products of MasterMap, VectorMap Local and District. He also revealed the work OS has been doing to make corporate styles available to the public and the Ordnance Survey’s bias towards open source software. 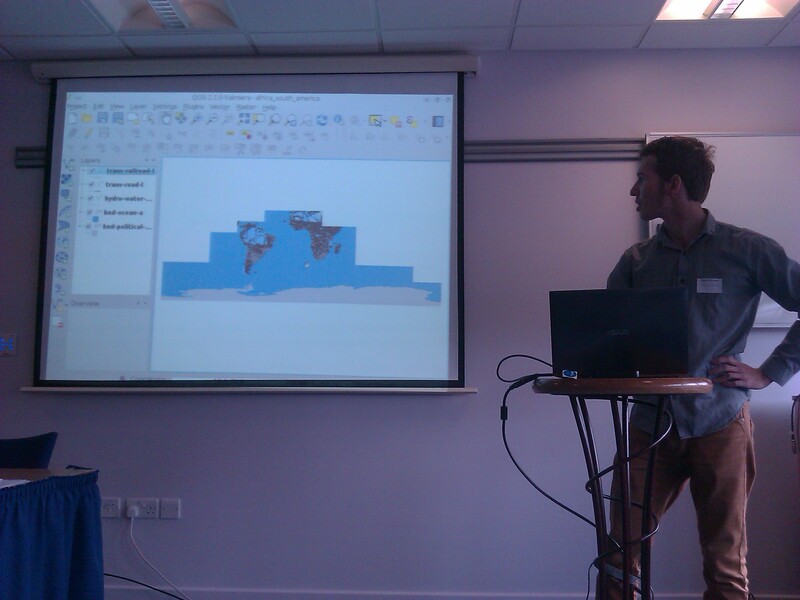 Again the feedback forms revealed a desire to get hands on with QGIS to create good looking custom cartography. 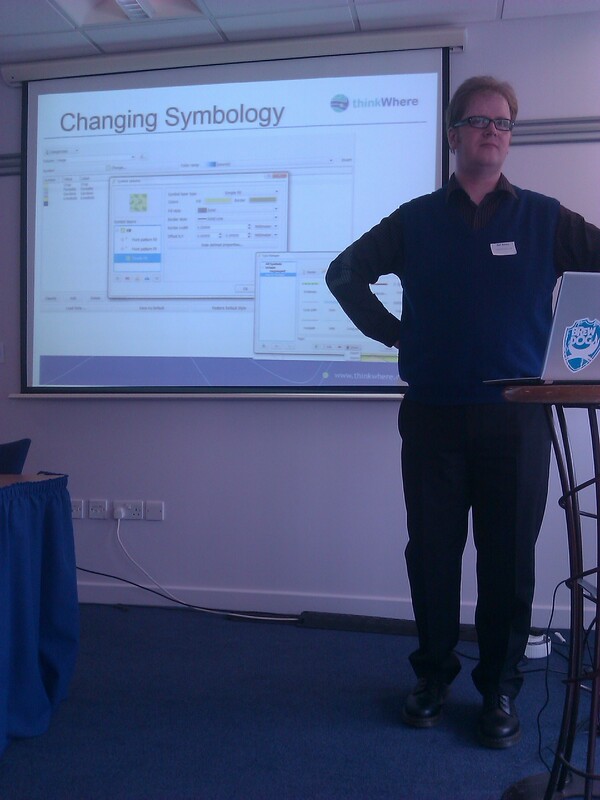 The next Scottish user group meeting will definitely be having some hands-on workshops. Heikki Vesanto (thinkWhere) bravely ventured into live demos of how to connect to just about any spatial data format available. Local files, local databases, WMS feeds, WFS feeds, text files, CSV and URLs with images and custom map templates using the Atlas generator. An excellent overview of just how flexible QGIS is when it comes to consuming data and converting data to almost every format supported by OGR and GDAL. Thanks must go to the generosity of thinkWhere in supporting a feature filled programme of presentations and keeping us topped up with coffee. 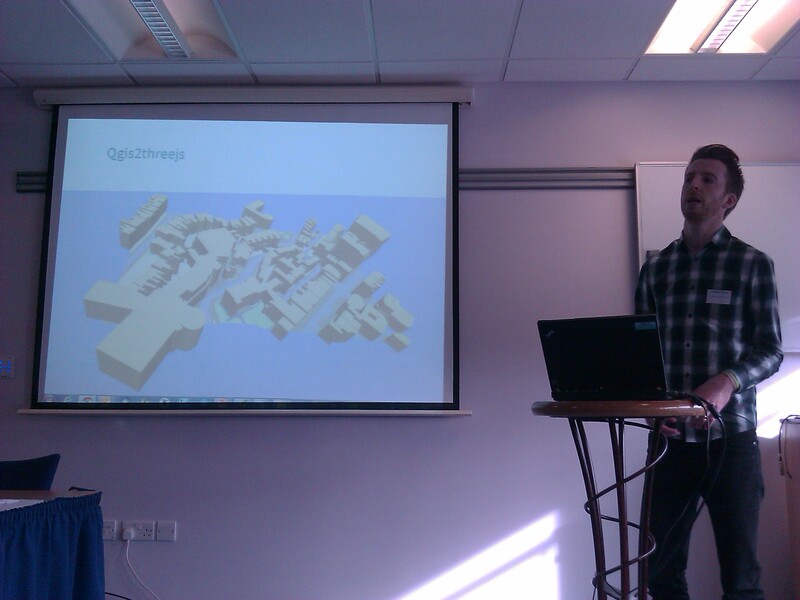 As a result the first Scottish QGIS user group meeting was a success and there is definitely a desire for more events like this. Slides and videos of the presentations will be available here shortly.